If you have recently purchased and received a Secure Link SSL certificate from No-IP.com and need to install it on your IIS 7.x Web server, the steps below will walk you through the process. Step 1: Click Start and go to “Administrative Tools” and open “Internet Services Manager”. Step 2: Click on “Server Name” then from the center menu, double click on the “Server Certificates” button in the “Security” section. Step 3: Select the “Actions” menu on the right and click on “Complete Cerfificate Request”. 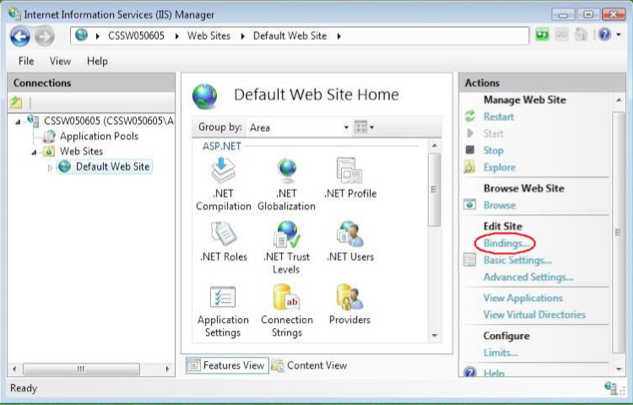 Step 4: Inside the wizard enter the location of your IIS SSL certificate (you will need to locate the extracted zip file you received and choose “yourdomain.crt”). Enter a friendly name, this name is only used for you to identify the certificate internally. Then click “OK”. 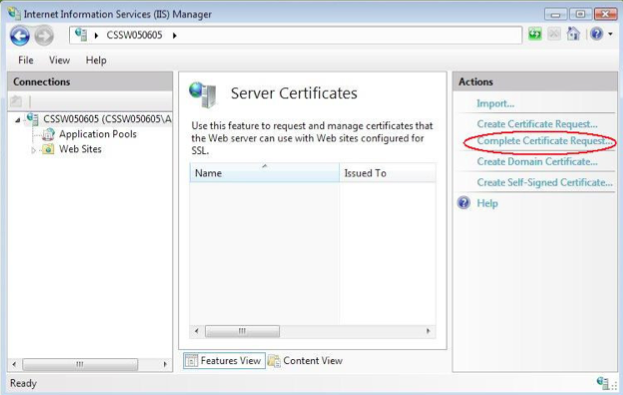 Step 5: After the certificate has been installed, you will need to assign the certificate to the appropriate website using IIS. 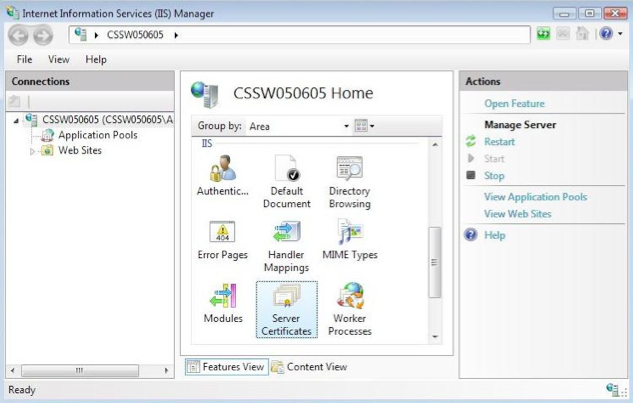 Step 6: From the “Connections” menu in the main IIS Manager, select the name of the server to which the certificate was installed. Step 7: Under sites, then select the site to be secured with this SSL certificate. Step 8: From the “Actions” menu on the right click on “Bindings”. The bindings window is displayed below. Step 9: In the “Site Bindings” window, click on “Add” which will open a window like the one displayed below. Step 10: Under type, choose “https”. 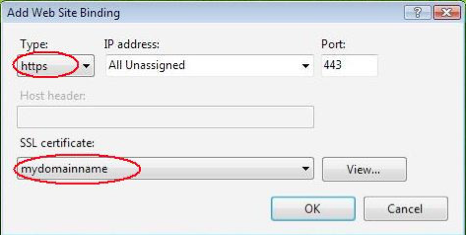 The IP address should be the IP for the site or “All Unassigned” depending on your setup. The port number is typically 443. Step 11: Verify that the “SSL Certificate” field still contains the name of the certificate you are working with and click “OK”. 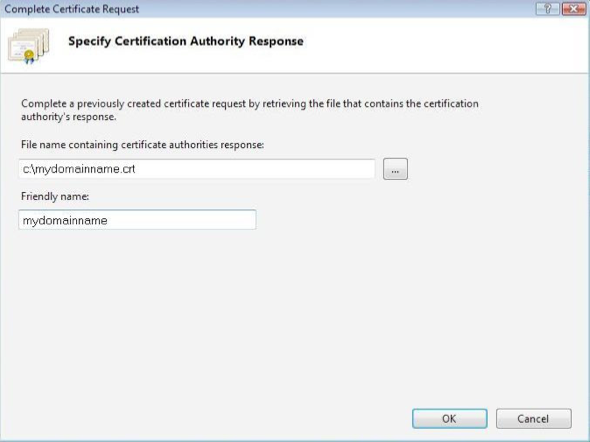 Step 12: The certificate is now installed, you will need to restart the IIS server or website to complete the setup. Note: You will need to install the root and Intermediate certificates manually with the above steps if you have not done so already.